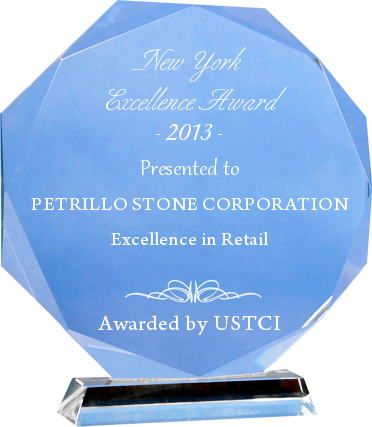 May 19th 2014 – Petrillo Stone Corporation has been selected for the 2013 New York Excellence Award amongst all its peers and competitors by the US Trade & Commerce Institute (USTCI). Petrillo Stone Corporation has consistently demonstrated a high regard for upholding business ethics and company values. This recognition by USTCI marks a significant achievement as an emerging leader within various competitors and is setting benchmarks that the industry should follow. This entry was posted in News on May 19, 2014 by Boom Visibility.